This Egg Salad recipe is a delicious option for a filling lunch because it’s zero points. I love finding zero point foods for WW that are satisfying and full of protein. 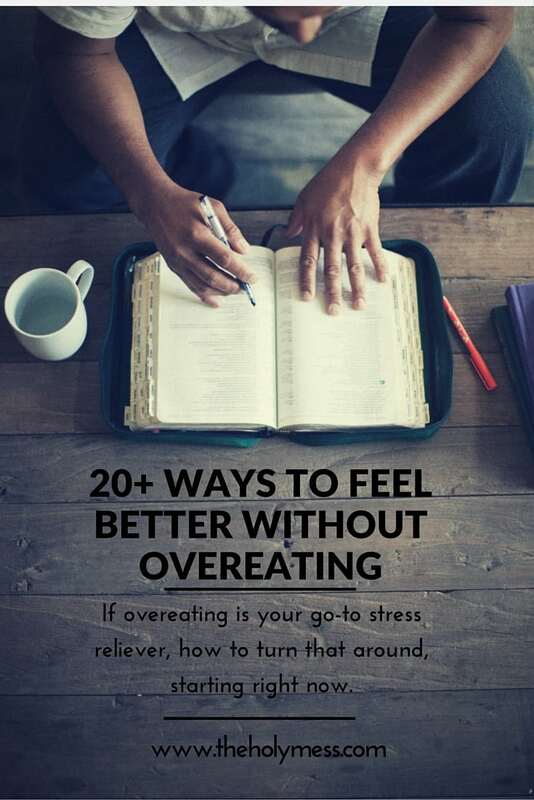 This recipe fits the bill in every way. Check out this Weight Watchers Zero Point Egg Salad Recipe. 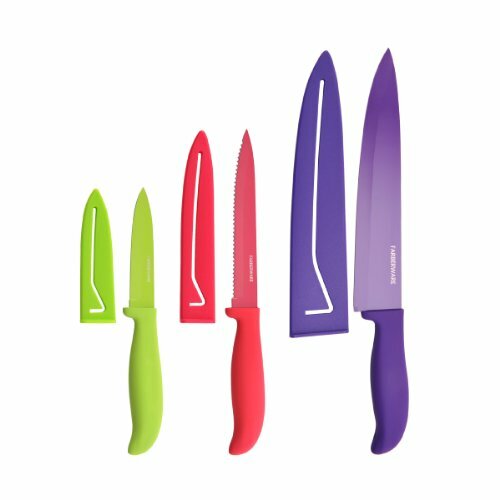 With the current Weight Watchers Freestyle system, members have the option of enjoying 200 zero point foods without tracking them. Some of my favorite zero point recipes are my zero point turkey chili and this delicious banana souffle. We also have a 3 day zero point meal plan if you want to be brave and try eating all zero point foods for a few days. Just remember that zero points does not mean zero calories, so only eat these to satisfaction. 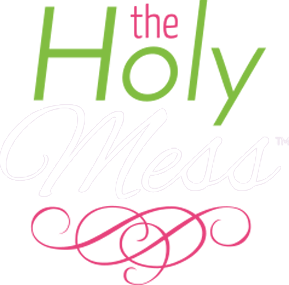 Make this recipe especially easy by using my Instant Pot No Peel Hard Boiled Eggs. Sound impossible? I promise this trick works. 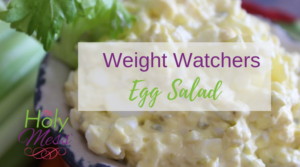 This delicious Weight Watchers Egg Salad recipe is one of the go-to WW recipes that I’ve made dozens of times during the many years I’ve been doing Weight Watchers. This recipe uses Greek yogurt in place of the typical mayonnaise of egg salad. I still enjoy the tangy zip of a bit of mayo (actually I use light Miracle Whip) but what I do is measure it out separately and add it to each individual serving. 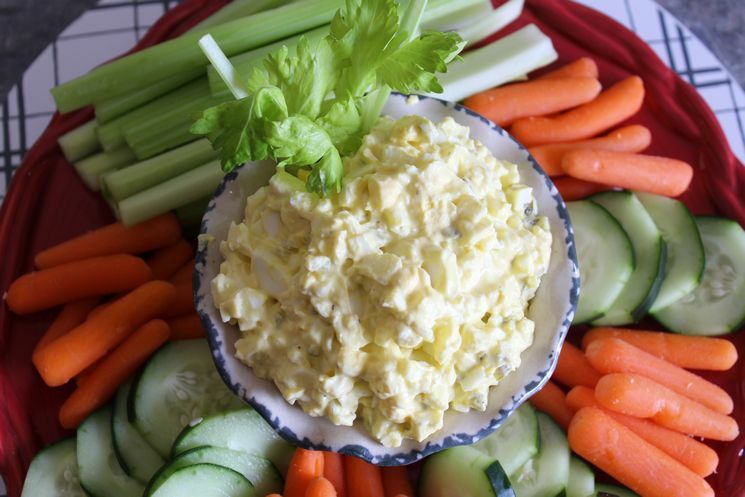 If you need a completely zero point meal, serve this egg salad with carrot and celery sticks. If you have a few points to spare, it’s delicious on light bread, crackers, or a Joseph’s pita bread. 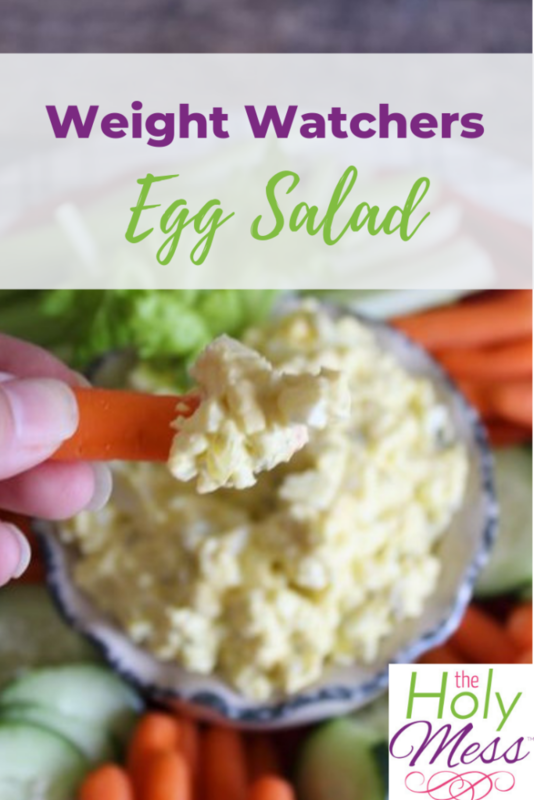 This Weight Watchers Egg Salad Recipe is so easy and yummy it is a must have with our family and we are sure you will enjoy it to. 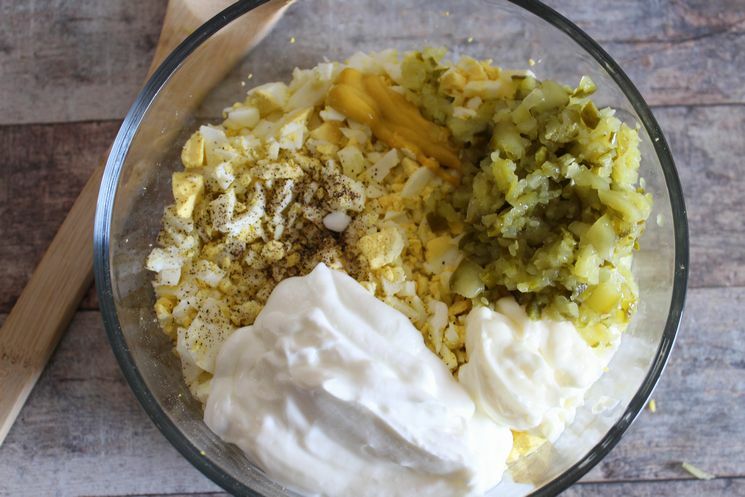 Add all egg salad ingredients to a large bowl and mix together. Serve the Egg Salad with vegetables or eat as a sandwich and enjoy! We love this quick and easy Weight Watchers friendly Egg Salad recipe. 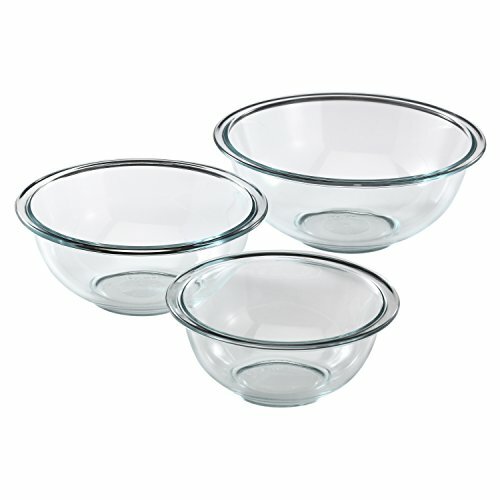 Serve with carrots, celery, and cucumber slices, or on top of lettuce, or light whole wheat bread. If you have properly stored it, for example in an air tight container, egg salad should last for 3 to 5 days in the refrigerator. 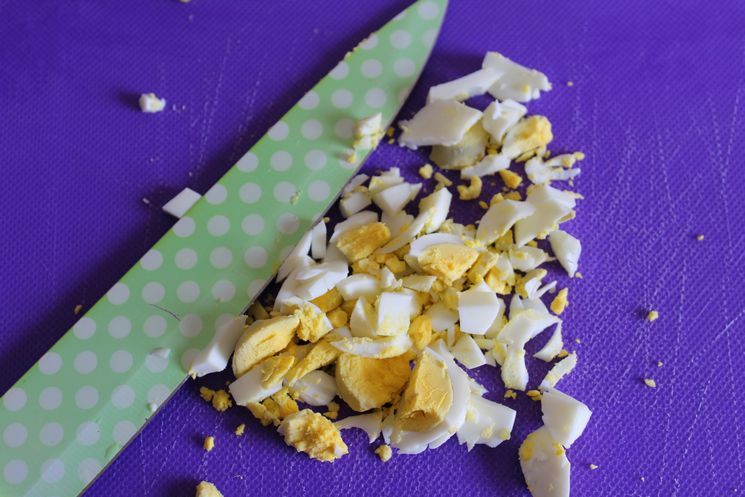 How long can egg salad be left at room temperature? Because bacteria can grow rapidly at temperatures; I wouldn’t suggest leaving egg salad out longer than an hour or two. 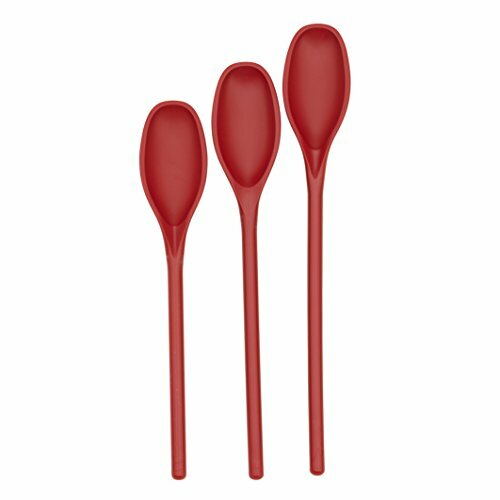 Be sure to check out our 30 WW zero point meals and snacks and the list of 200 WW free foods with Freestyle. 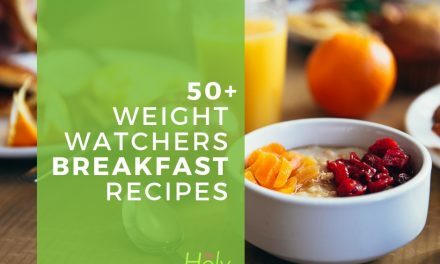 PreviousFree Body Weight Calculator – How Much Should I Weigh? 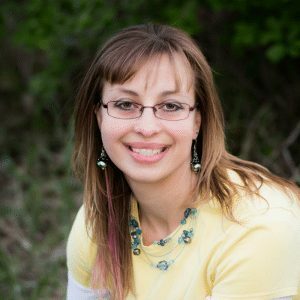 NextFree Weight Loss Calculator – How Long Will It Take to Get to Your Goal Weight? 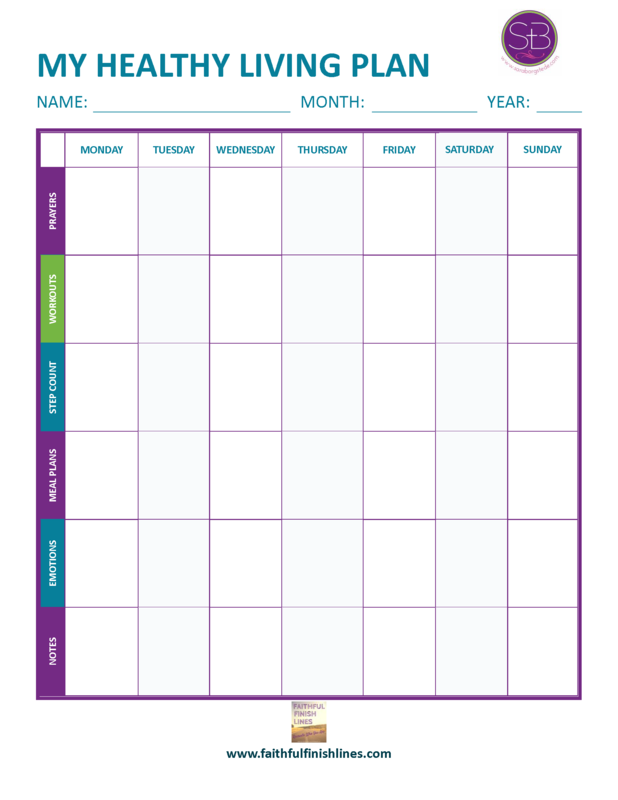 My Healthy Living Plan — Get Organized!